Ruby on Rails is an open source web application framework which runs on the Ruby programming language. It allows the developers creating pages and applications that gather information from the web server, talk to or query the database, and render templates out of the box directly to the internet browsers. 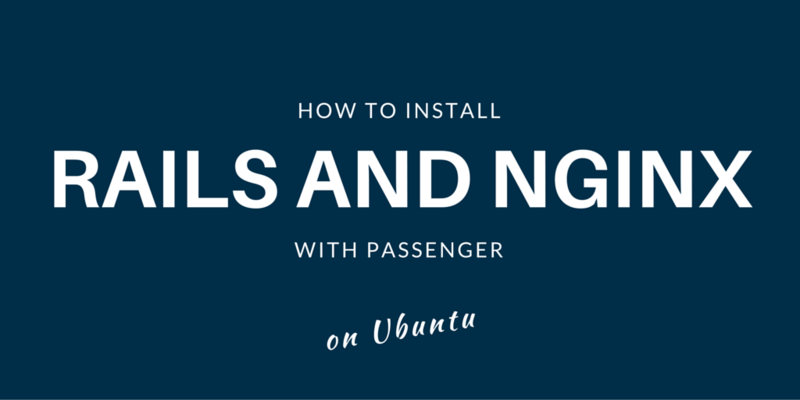 As a result, Rails features a routing system that is independent of the web server. The web server is used to render the content only. The choice for that would be Nginx. Nginx is fast webserver with a strong focus on high concurrency, high performance and low memory usage. It will make sure that we are up to date and install the missing requirements (if any). Once we have RVM installed and configured, we can proceed to install and configure Ruby. Once we do this, it checks for all dependencies automatically and install those that are missing. If some manual user action is required, Passenger will tell us, as well as give us detailed instructions how to do it. Once that is that, we should go to our directory (in this case it is /var/www/rails_app/public) and create the application. After all this is installed and configured, we simply need to start Nginx. We can try and access our new Ruby on Rails application using our browser. It seems that it was much easier to setup the environment and create our first Ruby on Rails project than we thought, was it?